Dinsmore & Shohl LLP has added Heather N. Stone as associate of counsel and Dillon D. Jones as an associate to the firm’s San Diego office. Stone will practice out of the employment group and Jones will be focusing on commercial litigation. Stone joins Dinsmore from Cavignac & Associates where she was a human resources risk advisor. She provided advice to, counseled and trained employers on lowering the frequency and severity of employment practice claims. She has experience as an employment litigation attorney, providing advice on a full range of employment issues, including policies and procedures, executive employment contracts and employee discipline and discharge. She received her J.D. from the University of San Diego School of Law and her B.A. in political science from San Diego State University. 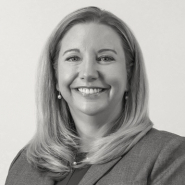 Jones joins Dinsmore from Bowman and Brooke LLP, where she focused her practice on product liability and warranty litigation. She has appeared before state and federal judges for pretrial conferences and hearings. Jones received her J.D. from the University of San Diego School of Law, where she helped first year law students develop legal research and writing skills. She received her B.A. in political science from San Diego State University.